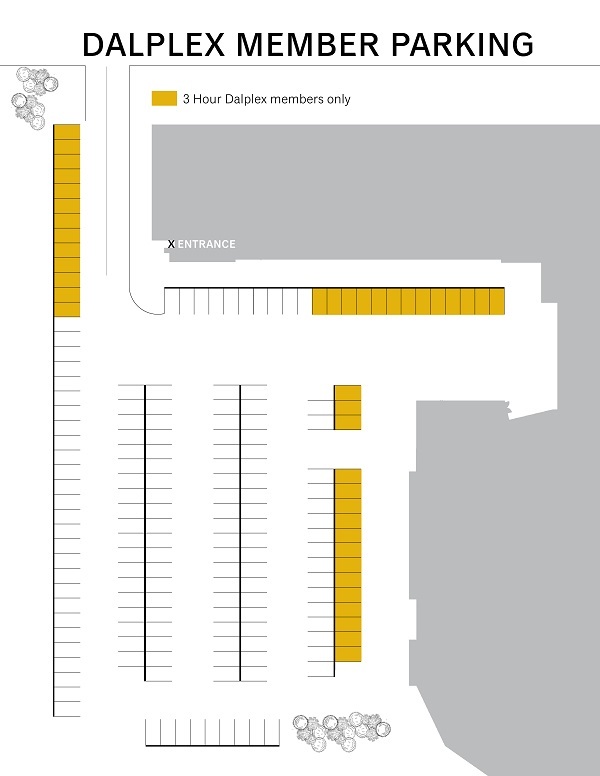 The Dalplex lot is able to offer 40 dedicated spots designated for valid Dalplex member parking permits from 7am-4:30pm, as well as 16 4-hour parking meters. Dalplex member parking permits can also be used for the other non-metered spaces in the Dalplex lot from 4:30pm-1am on weekdays and on weekends from 7am-1am. If you have a regular Dalhousie faculty/staff or student parking permit, you will be ticketed and/or towed if you park in a Dalplex member designated space between 7am-4:30pm, Monday to Friday. If you have a valid Dalplex member parking permit and park either in a space reserved for Dalhousie faculty/staff or students between 7am-4:30pm or at a parking meter without having paid the required fee, you will also be ticketed and/or towed. Dalhousie has declared itself as an idle-free campus! The anti-idling program is a partnership with DriveWiser, a fuel-efficiency program run through Clean Nova Scotia that provides drivers with information about driving, maintaining and buying for fuel efficiency. The goal is to help drivers learn how they can both save money and the environment.